100 % natural active ingredients: Olive*, Macadamia*, Apricot Kernel*, Lemongrass*, Lavandin*, Ravensara, Wintergreen. 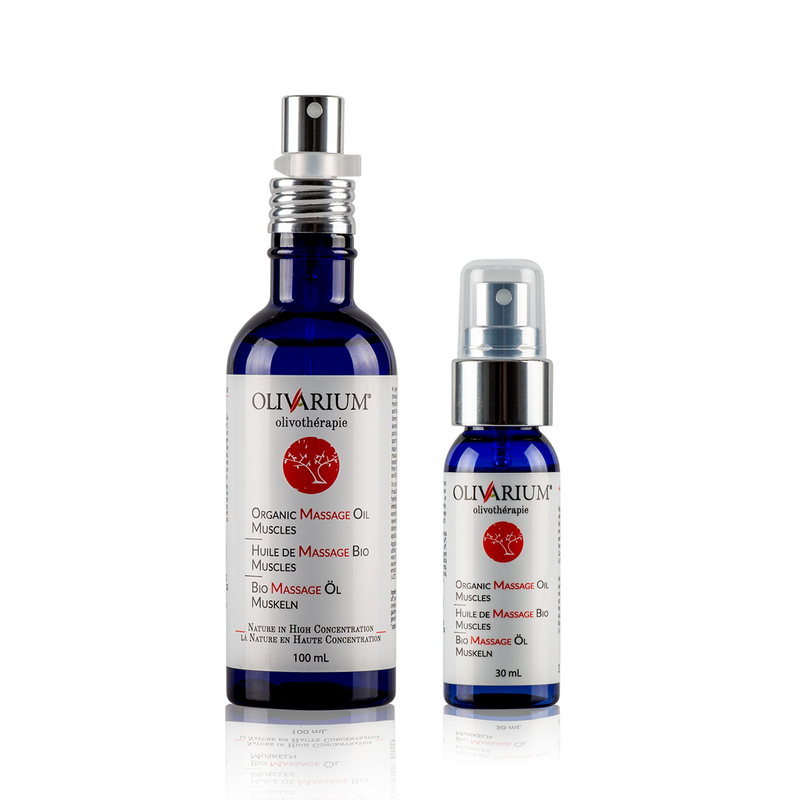 The Olivarium organic massage oil for muscles is a powerful blend of 3 organic virgin oils (macadamia*, olive*, apricot kernel*), hydrating and rich in omega-6/-9 fatty acids and vitamins A/E, and of 4 active essential oils (lemongrass*, wintergreen, ravensara, lavandin*). It is most appropriate for anti-inflammatory, muscle-healing purposes and for pre-exercise care and after-sport soothing. citral, linalool, limonene, geraniol, citronellol, isoeugenol, coumarin (natural component of essential oils).